I have a sister-in-law who is truly a “jack of all trades”. She is a therapist,an author,a florist,a painter,a singer-you name it,she can do it. 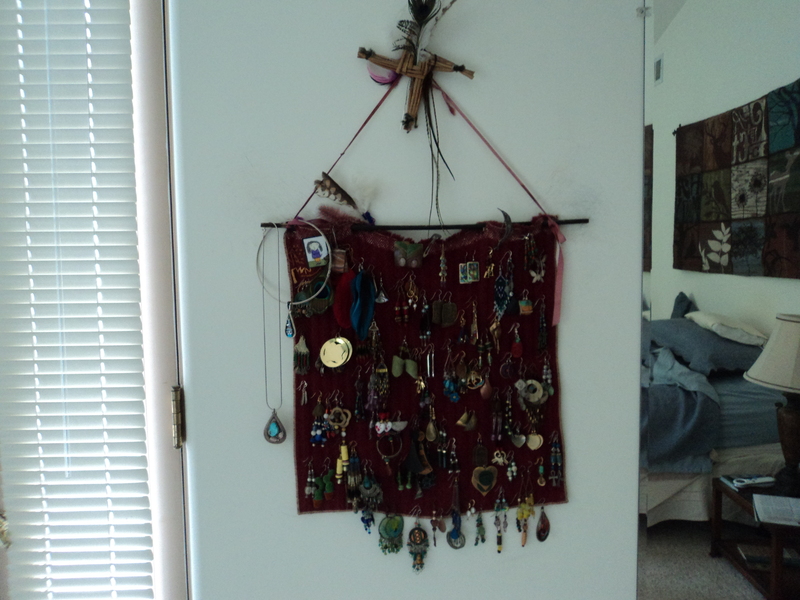 When I visited them in Santa Barbara she showed me her inventions for storage- of her scarves(she had my brother make this),her necklaces(two peg boards turned sideways)and her earrings(a piece of fabric on a rod and then hung up).Talk about creative! 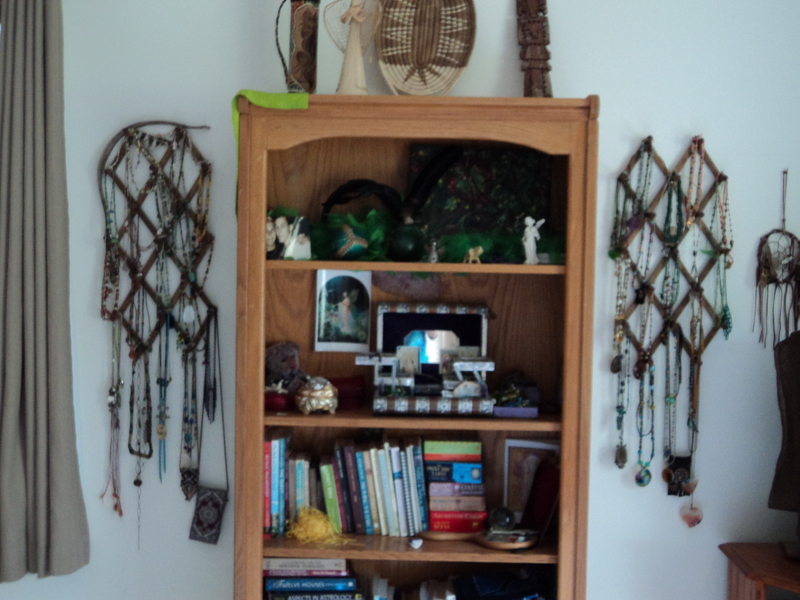 This entry was posted in books, California, interesting ideas, photography, travel and tagged California, Home Improvement, Interior Decor, Shopping, travel. Bookmark the permalink. 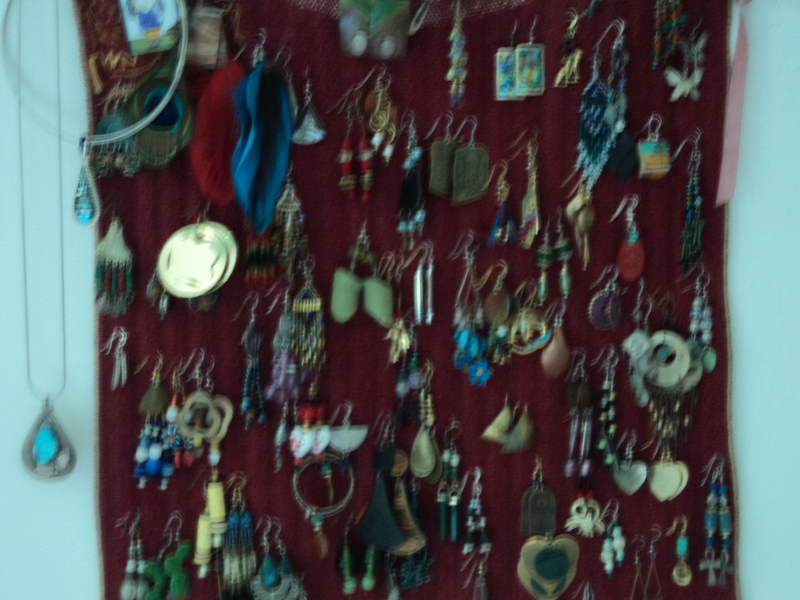 I love having all my jewelry out where I can see it. That way I can match colors and styles and use everything I have. 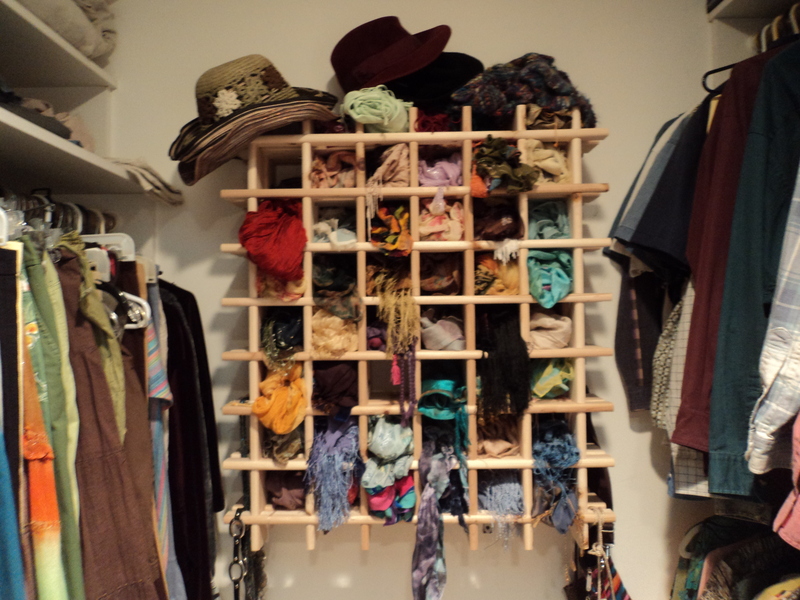 And- it is fast and easy to put things “away”. Thanks, Lauren, for the compliments!